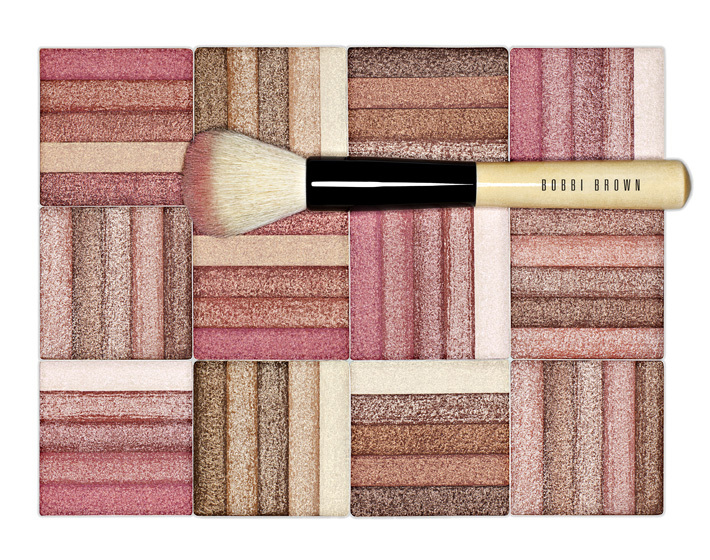 If you go out and buy one fabulous new beauty product for your summer kit, make it the Bobbi Brown Shimmer Brick Compact in Bronze. I have to say, I was reluctant about including this post in my blog, quite simply because it’s one of those Secret Beauty Weapons I usually only share with (truly, sincerely, loyally) good friends! I must confess, I did not discover this gem of a makeup product by myself. I was introduced to it by makeup artist extraordinaire Algria and it’s been in my makeup kit ever since. This shimmering, brush-on powder creates a deep, bronzy glow that reflects light in just the right way that your cheekbones will love you for it (without looking like a sheeny shiny glittery teenager.) You simply have to try this one for yourself to see why I love it so much and will never give it up. Application Sweep your bronzer brush through all five shades and dust lightly on cheekbones. Focus on applying shimmer on the top of cheekbones – where light naturally hits the face – for the most flattering look. To add a highlight to eyes, apply the lightest shade in the compact just under browbone. Awards Martha Stewart Weddings Big-Day Beauty Awards 2012. Thank you Clare for introducing me to the shimmer brick! I use it daily on shoots! Love! You are welcome! Got the tip from the legendary Algria back in the day!